Space Exploration Technologies’ (SpaceX ) long wait for a decision as to whether-or-not the company’s Falcon 9 v1.1 rocket can carry out missions on behalf of the U.S. Department of Defense’s Evolved Expendable Launch Vehicle (EELV) program – might be drawing to a close. Announced on Jan. 23, 2015 the agreement will see the Hawthorne, California-based firm working with the U.S. Air Force to certify the F9 v1.1 to carry out missions that, until now, had been the sole domain of United Launch Alliance. SpaceX noted in a statement posted on the company’s website: This collaborative effort will inform the SECAF directed review of the new entrant certification process. The USAF has stated that it will honor all contracts that it currently has with ULA. This recent announcement appears to suggest that the back-and-forth legal tug of war that has taken place over the course of the last few months. In April of 2014, SpaceX issued a lawsuit against the USAF for a block-buy carried out with ULA where the USAF purchased 36 booster cores from the company that was formed in 2006 from components of aerospace giants Boeing and Lockheed Martin. SpaceX issued the suit after Russia’s military actions in the Crimea drew attention to the RD-180 rocket engines used on ULA’s Atlas V family of boosters. SpaceX’s suit saw a temporary injunction against the import of the RD-180, which was eventually overturned. For its part of SpaceX has agreed to dismiss the lawsuit it issued in the United States Court of Federal Claims under this most recent arrangement. The U.S. Air Force will, in turn, conduct competitive reviews of boosters that have been submitted by multiple launch service providers with certified launch vehicles. It is possible that by 2019, there will be two boosters used to deliver payloads to an array of orbital destinations, ULA’s NGLS – and SpaceX’s Falcon 9. I’m interested to see how these bids will turn out. Does this really say what I think it means? SpaceX is giving up it’s EELV lawsuit against the block buy and the Air Force is going to “help and speed” the certification process. Can anyone else say “extortion and corruption?” Weren’t they required by law to do that in the first place? This does indeed have a bad “smell” to it. SpaceX seems to have gained nothing. Maybe SpaceX has been threatened or put “under pressure”. Give up your lawsuit or else. Or maybe Elon Musk just decided the distraction of this lawsuit was just not in his companies best interest. Once the Falcon 9 gets reuseable the whole competitive landscape will change fundamentally anyway. Then no one can defend buying launches from ULA anymore. Agree. SpaceX have now said $3-5m per launch. I was guessing $10m. What possible reason can there be for throwing away >$100 million. Also imagine how many more launches you could have at that price! NASA could go to the ISS every week at that price! I bet they’re licking their lips, even if they’re being nice to ULA in the meantime. Or maybe it was time for SpaceX to admit they were going to lose in court, and this was the best way to save face. The DOD isn’t modifying their contract with ULA, so that’s a win for them. The real “loss” for them is that they didn’t get to defer launches they didn’t need. Where is the funding for those missions ? Maybe Spacex got will be getting the $500 million extra that Boeing & Lockheed gets thru ULA. The AF could’ve guaranteed them a certain amount of launches. After all, who can be art SpaceX’s bid. That’s not a thing done lightly, or shouldn’t be. That’s saying “This is taking too long, let’s get rid of this and this and this.” Opening the hood and starting to throw parts out should be considered a rather scary thing when you’re dealing with satellites valued like these are, regardless of the cost of the firework that gets it where it’s going. No, they’re not inflating the costs, the tolerances to be fabricated to and tested to are extreme and unforgiving. Recall Hubbell, a slight misadjustment of the mirror polisher and it was almost useless at intended distances. At the same time, I imagine there’s much asking of “why the hell do we do this?” It may take a bit to figure out the rationale and history (going back to Mercury in the 60s?). They need to understand the rationale for the inclusion and verify that its removal won’t increase risk unacceptably before it can be removed. I have the impression that there’s a cycle of decreasing focus on the process, followed by a disaster which pushes it back up again, and avoiding that cycle is what this sort of system and process review is about. SpaceX has a handful of years with rocketry. The industry has 50, and the government saw most of them, at times really up-close. SpaceX’s engineering may have made some of them a non-issue, but there may be a bunch of others that they haven’t seen yet. It’s all about seeing which ones aren’t important anymore, and which ones they weren’t aware of and might need to look at. That explains why ULA is using Apollo technology for the Orion and Space Shuttle technology for the SLS. It is stuck 50 years in the past. ULA has nothing to do with building either Orion or SLS (aside from providing the Interim Cryogenic Propulsion Stage for 1-2 launches). According to published numbers it is taking NASA and the Pentagon approximately 60 times to certify SpaceX vehicles than ULA vehicles. Both claim that it is because ULA uses only 1950’s and 1960’s technology and SpaceX is using current technology. Jane’s analysts state that ULA’s participation in both the SLS (where it is the prime supplier through a dozen front companies) to the Orion capsule are technologically inferior to other currently available options. Jane’s compared ULA technology to that of India in 2014. ULA is an illegal entity and a serious violation of anti-trust laws. Its sole purpose is to get no-bid NASA and Pentagon contracts in return for employing NASA and Pentagon procurement officers into plush post-retirement jobs. ULA’s work is best characterized by the Orion capsule and the SLS. The Orion is nothing more than an Apollo capsule that carries four instead of three. Its design was frozen in 2002. By the time it flies, it will be more than 15 years out of date. The SLS is even worse and uses a rocket motor design frozen in the late 1950’s and used in the disastrous Space Shuttle. Both are disposable one-use systems. The Orion must be recovered at sea at the cost of many millions per flight. On the other hand the Falcon will eventually be recoverable to land for reuse. This could happen in 2-3 weeks. The Falcon Heavy would be likewise recoverable. The Falcon upper stage is multiply restartable and while it will not likely be recovered, it can be refueled in space and serve as a Mars or Lunar lander. ULA has nothing that can be restarted more than once. SpaceX has already sent six satellites into six different orbits with one launch. The Orion capsule can carry seven passengers plus cargo. It is designed to have a propulsive landing system which means that it can be recovered to land. In addition it is intended to be reused as well. The short of this is that ULA and ESA are panicking and calling in every political favor they can and bribing anyone who will take their money. 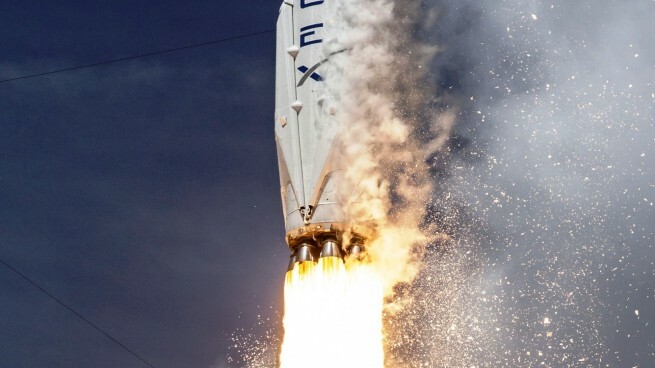 SpaceX is already launching satellites for 42% of what ESA, the low-cost system, charges. ULA is 30-40 behind SpaceX and simply has nothing on the drawing board that can compete. That’s what happens when you have an agile company with a vision against a crooked bureaucracy. Dude. That’s some pretty appalling misinformation there. You might want to step away from the conspiracy theories for a bit. NASA is working the SLS, not ULA. Congress mandated, put it in a procurement /direction bill, that SLS should use the old shuttle engines. They could have RS-68s like the Delta IV, but Congress made them go that way. Lockheed-Martin is contacted to build the Orion capsule, not the space launch division which they split off as their part of ULA, the mother company (or the daddy, or something). The MUOS launch that went off just days ago featured 3 firings, that’s 2 restarts, of the RL-10C cryogenic upper stage engine. I understand some are fans, but please try to stick to actual facts and more nuanced opinions. No conspiracy theory — but an actual conspiracy. The NASA Authorization Act of 2010 gave a no-bid contract tpo ULA to build the SLS and the Orion capsule. It did not mandate the use of the RS-25 engines and originally the SLS was envisioned to use the Russian-made refurbished RS-180’s. But there were serious objections to the use of so much Russian and Chinese technology. Since neither Boeing nor Lockheed has the technological ability to develop new engines, the old shuttle engine was the only available choice. ULA subdivided the contract among divisions of its two companies — Lockheed and Boeing in such a way that guarantees cost overruns of 80%+ and cannot make any of the project milestones. But this has happened with every project Lockheed or Boeing has undertaken. It remains that the RS-25’s are 1950’s technology and the Orion is 1960’s technology with NO substantial improvements. The MUOS is a series of military communications satellites and the RL-10 was designed in 1956. It is not actually restartable because it is very old cryogenic technology. What ULA does is throttle it back to around 8% and hope for the best when it throttles up. It is a dead-end technology. ULA has, in the last five years hired over 240 former NASA and Pentagon procurement officers. The original reason to allow NASA and the Pentagon to award no-bid contracts was to keep a segment of the defense industry strong. But Boeing and Lockheed conspired, in violation of anti-trust laws from which it claims exemption, to divide ALL space launch contracts between themselves. Most of the rest of the world uses ESA or Chinese or Russian because they are around half the cost of ULA launches. I reiterate — ULA is a scam that robs billions from the American taxpayer. It is 20 years behind the ESA AND 30-40 years behind SpaceX. The day of sea recovery is closing rapidly. The day of disposable launch vehicles is over. The day of hiding billions in payola in no-bid contracts is over. This is not a conspiracy theory but a real conspiracy that is rapidly coming unraveled. Those are actual facts. You’re confusing and lumping together companies and agencies that have nothing to do with each other, dude. The SLS is not ULA’s, it is being designed by NASA scientists and engineers, all those folks at JPL and the like, possibly with assistance from Lockheed Martin. LM’s doing Orion / the capsule, of course. Lockheed contracted with ULA to loft the Orion on a functional test flight of that portion of it. The RL-10 is ignited electrically. It’s in the launch commentaries, it’s in the press release about the engine’s debut, it’s in the technical papers released by PWR (https://webfiles.uci.edu/dbeerer/rockets/RL10.pdf pg 9 fig 16, “Exciter”). But don’t let the facts get in the way of a good conspiracy story. Ah, I sit corrected, Boeing is working the core stage. Anyway. You are slowly catching on. NASA does not build rockets, it only assembles them. All its manufacturing capability is long gone. It contracts with ULA for almost everything and ULA divides the contracts up among Boeing, Lockheed, Rocketdyne, Aerojet and about 40 other companies. This is called a “trust” and is illegal. If you keep digging you will find that ULA has had massive cost overruns on every thing it has ever built and has never made a project milestone successfully. Their manufacturing capability is now so shallow that they are totally dependent on Russian, Chinese and European technology to make even a firecracker. And let’s not even mention the Blue Origin scandal where non-existent engines were fired in a non-existent test to win a Pentagon contract. The RL-10 was designed in 1956 and is the best NASA can come up with. It “can” be restarted by following a very long process of fuel-stirring, liquid helium purging, and pre-chilling. It requires so long to do these lengthy processes that the 10C is not considered “restartable” by Jane’s. But what do you expect of a 1950’s rocket atop another 1950’s rocket launching a 1960’s capsule? Do you even know what an “exciter” is? It is also called a CDI and is nothing more than a spark plug. The fuel and oxidizer have to be present at the right pressure and mixture to even have a change of working and the lack of gravity is a huge technical problem that the RL-10 has never had to deal with since it was intended for the Saturn V. The RL-10 costs about $80 million per unit versus around $2 million for the SpaceX equivalent. That’s why ULA has to rig contracts. And let’s not mention that all the NASA/ULA systems require recovery at sea. The unmanned Orion test required 14 ships and over 10,000 people. That money is iun the military budget and not reflected in the already astronomically high ULA launch costs. And last, but not least, the SLS and Orion system has been vehemently opposed by over 100 engineering groups and JPL itself on the basis that it costs far too much, depends on far too much old technology (ignoring modern advances) and lacks any semblance of a mission. In fact, these organizations feel that the SLS/Orion system will be so expensive and so late that it will drain virtually every other NASA project in the process. The Planetary Society has some great “conspiracy” research if you care to read it. The real underlying problem is that NASA got caught up in the Cold War and Pentagon black budgets in the 1950’s and 1960’s and really gave up manned space exploration halfway through the Apollo program because the Pentagon was simply no longer interested. Instead the Pentagon wanted all effort to be directed to Very Low Earth Orbit (VLEO) activities which would have a “dual purpose.” The disastrous Space Shuttle was designed around the KH-series reconnaissance satellites and was never intended to ever go any further than VLEO. The idea was that it could quickly put up several spy satellites in times of tension. A number of other payloads were designed for the shuttle including weapons pods including both atmospheric penetration warheads and anti-space weapons and command-and-control pods that could be used instead of the extremely vulnerable military communications satellites. And the ISS originally (before the I) was intended to serve as a weapons, reconnaissance and command-and-control and there would be at least three of them. But the Space Shuttle turned out to be a disaster in terms of cost, turnaround time, and reliability. And the ISS was simply a massive money pit that today still performs NO unique science. The ISS cannot actually study the effects of long duration manned spaceflight because it is within the Earth’s gravity and magnetosphere. But this is what all the management at NASA and the Pentagon was raised on. The space shuttle and ISS cost the world 40-50 years of space progress with nothing to show for it. And until NASA and the Pentgon can get its collective heads out of the Cold War 50’s and 60’s, there will be no progress. Chris C 6 Reply back Stated Orion Capsule carry seven crew is Totally False. Locheed Martin Original designed for 6 crew,but final design 4 crew today. I think you intended to say SpaceX Dragon Capsule can carry 7 crew instead. Please make note of this true factual statement and remember only SpaceX Dragon can carry seven crewmembers! Chris C Orion Capsule carry 7 crew totally false, because Lockheed Martin originaly design it to carry 6 crew. NASA insisted design to carry 4 crew instead for BEO missions. I think you referring SpaceX Dragons Capsule is design to carry 7 crew originally and is the only space capsule that can carry 7 crew. Please make note of my statement and try remember this fact as true! I was rather surprised to learn that “The Planetary Society has some great “conspiracy” research if you care to read it”. I was under the impression that The Planetary Society was a 501(c)(3) corporation dedicated to astronomy, astronomical research, and space exploration. I was wholly unaware that they were involved in accumulating research about a NASA/Pentagon/ULA conspiracy. Further, I was not aware that as a tax-exempt organization they were able to conduct what seems to be advocacy on behalf of for-profit SpaceX to what is seemingly the detriment of ULA. When Dr. Carl Sagan was at the helm of The Planetary Society, it was not involved in “conspiracy” research. Perhaps the situation has changed with the new leadership of Bill Nye “The Science Guy”. One wonders if this change of direction will cause members of the Society to re-evaluate their membership at renewal time. The reason that “conspiracy” in quotes is because it is making fun of the poster who considers anything short of absolute praise as a conspiracy. The Planetary Society, is not lobbying on behalf of SpaceX. The main intent of the research is the same as when Sagan was there — advancing manned spaceflight. They have, backed by considerable research, opposed the SLS and Orion (and previously opposed the Constellation system.) They feel that NASA is using 1950’s and 1960’s technology that is a dead end and will never take men to Mars because iut simply is not an adequate system. The collusion of NASA and the Pentagon to keep SpaceX out of the bidding is well-documented in the court papers and will be even better documented in days to come as mpore evidence is produced by ULA. The Planetary Society is not campaigning for or against any organization. It just wants NASA to spend the taxpayer money wisely and cites a complete lack of a workable vision for further space exploration. They feel that NASA is wasting money chasing 1950’s and 1960’s technology and touting it as new and innovative. Can you please provide some references to support the assertions regarding the Pentagon and NASA? I’m not typically wading through legal filings and the like, so I’m not able to go about finding what you’re calling proof. Point A may have been SpaceX being impatient, B should be moderated by hiring guidelines and practices that I think the FTC governs (can’t work on anything related to what they were doing for 5 years, or solicit, etc), and for C I don’t believe that SpaceX actually had demonstrated the lift capacity nor the ability to meet schedule. I’m not saying people’s feet shouldn’t be held to the fire if they’re not doing what they say they’re doing, but the whole thing seems kind of a collision between two cultures and ways of doing things. “Don’t break what’s working, and know your customer” versus “Move fast and break things, and go big or go home.” If this stuff you’re saying is an actual thing, then you need to be going to the FTC and all that, not painting a forum. If you want to chase down the scandal-ridden Pentagon (and NASA as well), start with “Darleen Druyun” and keep chasing links. There are literally hundreds of news stories about the coziness of military and NASA procurement officers being hired into cushy, often no-show, defense industry jobs. These people have been responsible for huge cost overruns and late deliveries of many many systems. The procurement officers in question knew that the defense contractors could not build the systems for the bid amount and that they could not deliver them on schedule. The F-35, the F-22, the new tanker, etc are examples. But ULA is the worst. ULA is simply a front company. It employs fewer than 100 people, mostly clerical. ULA gets the contracts and then farms them out to its “members: in such a way that a loophole in the Federal Claims Courts allows them to avoid censure for cost overruns and late deliveries. In fact, it was structured to do just that. 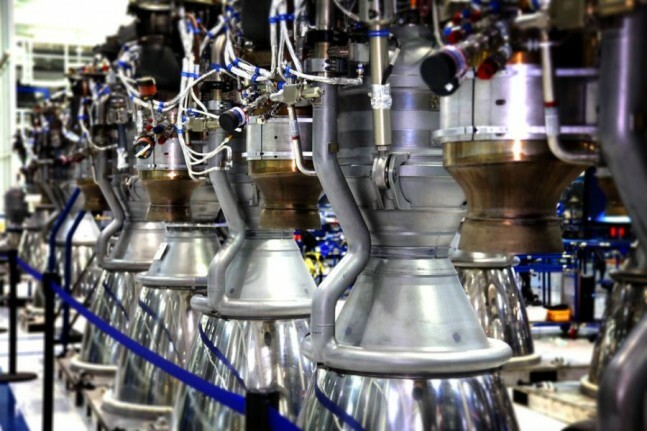 Look into the Blue Origin fake engine tests and Bezos involvement with the imposibility of delivering the BO engines. I am far from the first to discuss this. Personally I do not believe that any NASA or Pentagon management or procurement officers should ever be allowed to take retirement jobs in the defense industry. I believe, like many others that is a certain route to corruption that is costing the Amnerican taxpayer billions upon billions of dollars. Fewer than 100 people? That’s hilarious. Please visit the campus in Centennial and you’ll find 5 buildings and almost 3000 employees. But, then again, you wouldn’t want facts to get in the way of your conspiracy narrative. Sec.gov has no record of any ULA filings. And on that bombshell, I’m going to end my contributions to this discussion. Is it possible that the Air Force & ULA got rattled by Google and Fidelity teaming up with SpaceX to saturate Earth orbit with 4,000 satellites? Basically they will be able to sell bandwidth to the Air Force. Which may make some of those satellites to be launched by ULA, obsolete before they are built. Is SpaceX going to be the only company launching their own satellites? Musk is starting to give his competitors indigestion. The only thing I am reading about anyone getting “rattled” is the ESA. Currently SpaceX is launching commercial satellites profitably for 42% of what ESA (the current low-cost launch system) charges for its Arianne 5. SpaceX launches are profitable while ESA launches are heavily subsidized by European governments and are not profitable. The ESA is trying to dramatically reduce the launch costs of the Arianne 6 to stay competitive, but without reuse, it is a losing battle and the European governments will likely increase subsidies to protect their investment. Musk has proposed a 700-satellite internet system recently. Considering that he can launch ten at a time, and this would be done after reuse of the boosters had been achieved, it is actually quite plausible. Unless Google/Fidelity chooses SpaceX as their launch system, it is unlikely that they can launch 3000 satellites using conventiomnal systems. This is indeed a time of great change with most of the launch industry clinging to 1950’s and 1960’s ways of doing things. It is kinda fun to watch SpaceX shake things up a bit. Fun indeed. Incomprehensible to say the least. Every space agency should develop fanatically reusability. There is no other way to survive. Instead, I hear nothing of the sort. I just can’t believe it. Why aren’t they? Maybe they realize they are way too far behind already and have given themselves up? That’s not good! There should be competition for SpaceX. That’s way more motivating for them. On the other hand, luckily, they seem motivated enough without competition. The problem is that since the Cold War, there has been extremely little innovation in spaceflight. They are still stuck in the disposable equipment mindset. That is why SpaceX is different. Musk’s ultimate goal is a permanent settlement on Mars. NASA has no vision being trying to survive next year’s budget battle. SpaceX’s Falcon series boosters are intended to be recovered and reused, cutting launch costs by as much as 70%. NASA and the Pentagon, through ULA, are still using 1950’s technology and trying to cut costs by using Russian and Chinese technology. SpaceX’s upper stage is multiply restartable with no special procedures. Janes’ says that the NASA Centaur variant “can be restarted, but is not restartable.” Eventually SpaceX wants to recover upper stages as well, but they may actually be more valuable as space tugs and Lunar and Mars landers. The Orion capsule must be recovered at sea — tying up 14 ships and hundreds of personnel. Then the capsule is thrown away. The Dragon capsule is intended to be recovered back to land and reused. The Orion carries 4 men and no cargo. The Dragon carries seven men and both pressurized and unpressurized cargo. The Dragoin cargo capsule is already returning cargo such as broken equipment and experiments back to Earth after delivering supplies to the ISS. ULA has nothing on the drawing boards that can do this. Japan is seriously reconsidering its entire commercial launch program because SpaceX is so far ahead. ESA is asking for ten times the current government subsidies to even stay in the game with the Arianne 6. The only reason that ULA is not panicking is that it literally owns scores of Congressmen and contract court judges. It hires hundreds of NASA and military procurement officers and general officers. ULA has just failed at their first attempts to rig bids to squeeze out SpaceX and though it looks like ULA got the larger slice of the pie, ULA has NEVER delivered a product within budget or within 3 years of its due date. If they fail to deliver, SpaceX gets the ULA slice of the pie as well. People should be paying attention.